Dr. Jacquelyn Y. McLendon is Professor of English, Emerita at William & Mary and currently the academic coordinator of the 50th Anniversary of African Americans in residence. Her publications include The Politics of Color in the Fiction of Jessie Fauset and Nella Larsen, Phillis Wheatley: Revolutionary Poet (Juvenile), an edited volume titled Approaches to Teaching the Novels of Nella Larsen as well as scholarly essays, reviews and entries in numerous volumes and journals. Her work-in-progress is the co-editing of a collection of Nella Larsen's letters and other non-fiction materials and an article on Robert S. Duncanson, a nineteenth-century African American landscape artist. Jody L. Allen, a native of Hampton, VA, earned her doctorate in U.S. history at William & Mary in Williamsburg, VA in 2007. African American history is her area of specialization including Reconstruction, the Jim Crow Era, school desegregation, and women and gender. Her dissertation considers the consequences of and responses to the 1902 Virginia constitution revisions that disfranchised most African Americans and some whites. She is also working with a colleague to produce "The Green Light," a documentary film on the school desegregation case, Charles C. Green v. the School Board of New Kent County, VA. This little-known 1968 Supreme Court decision led to the integration of public schools throughout the south. She co-authored "Recovering a 'Lost' Story Using Oral History: The United States Supreme Court's Historic Green v. New Kent County, Virginia, Decision" which appeared in The Oral History Review. Currently, Allen is a visiting assistant professor at William & Mary and Director of the Lemon Project: A Journey of Reconciliation. Through her work on The Lemon Project she is exploring the history of the university's role as slaveholder and proponent of Jim Crow. Jayne Barnard is the Cutler Professor of Law Emerita at the William & Mary Law School. She also serves as the Coordinator of Academic Events for the 100th Anniversary of Women @ William & Mary (2018-19). The 100th Anniversary Committee and the 50th Anniversary are working closely together to create events that are memorable, meaningful and entertaining for students, faculty, staff, alumni/ae and members of the community. Carmen Bolt is the Oral Historian at William & Mary. She is responsible for collecting the stories of the school's alumni and faculty and staff and making these stories available through the archives, digital platforms and exhibitions. She is currently focused on recording oral histories in advance of the celebration and commemoration of 50 Years of African Americans in Residence at William & Mary and 100 Years of Coeducation at William & Mary. Internationally known for his work in physics and physics education, Dr. Buck is a professor and chancellor emeritus of the University of Washington, Bothell (UWB). He became the first chancellor of UWB in 1999 and during his tenure helped it grow to a four-year institution. As a graduate student at William & Mary, he received a National Science Foundation fellowship and was founding president of William & Mary's Black Student Organization. Dr. Buck served on the Alumni Association Board of Directors from 1998 to 2004, including a two-year term as the board's secretary. In 2006, he delivered the keynote address at William & Mary's Opening Convocation, and in 2013 the university awarded him an honorary Doctor of Science degree at Commencement. Dr. Buck was appointed to the Board of Visitors in 2016. Pete Clawson, now in his 22nd year at W&M, is Senior Assistant Athletics Director for Public Affairs, responsible for all external communications for the athletic department. He serves as the excecutive producer of the Tribe’s live streaming platform and coordinates radio and video services for the department. Additionally, his department is responsible for oversight and coordination of all digital communication platforms, including website and all social media platforms. 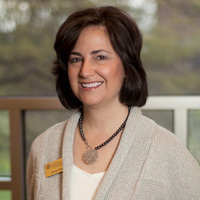 Carrie was appointed Dean of University Libraries at William & Mary in August 2011. Her first years have been focused on strategic planning, staff development, donor engagement, library space and faculty collaboration. Prior to coming to W&M, Carrie served as Dean of Libraries at Eastern Kentucky University. She previously served as the library's coordinator of research and instruction, managing reference, library instruction, university archives, government documents, the Learning Resources Center and distance education. A native of Florida, Carrie received her bachelor's degree in elementary education from Florida State University and her master's degree in library and information services from the University of Southern Mississippi. Prior to joining EKU, she worked as an elementary school teacher and a high school librarian. Jack Edgar is the Assistant Director of Regional Alumni Engagement for William & Mary University Advancement. He graduated from William & Mary in 2015 with a degree in marketing, and a double major in sociology. As Assistant Director, Jack works to engage over 20,000 alumni in the DC Metro region, and manages the William & Mary alumni affinity groups including the Hulon Willis Association. Hailing from Hampton, VA, Amirio Freeman, a senior at William & Mary, is majoring in Public Policy and minoring in Africana Studies. Currently, Amirio serves as the Student Assistant for the university's Africana Studies Program. Born and raised in suburban Maryland, Malerie is currently a senior at William & Mary. She is a psychology major, a management and organizational leadership minor and her goal is to earn a master's degree in higher education. Malerie volunteered over 1,000 community service hours while in high school. Most of that time was spent working with or on behalf of children considered in-need or at-risk. She did this through three organizations: Music Counts and The E.S.T.E.A.M. Initiative (both of which worked directly with students) and the Student Alliance for Change (which was policy-focused). While at William & Mary, her on-campus involvement has included W&M Pep Band, club volleyball, membership in Alpha Kappa Alpha, Inc., volunteering for the Office of Undergraduate Admission as a Home for the Holidays Program student recruiter and Transfer Intern, being a research assistant in the Department of Psychology's Social Cognition Lab, sitting on the Lemon Project's Committee for Memorialization, and, of course, serving on the 50th Anniversary Committee commemorating the first residential African American women who attended the university. Leah Glenn received her Master of Fine Arts degree in Dance Choreographic Theory and Production from Southern Methodist University, her Teacher's Certification in Labanotation from Ohio State University and has worked with the Philadelphia Dance Company. Prior to teaching at William & Mary, Ms. Glenn was Assistant Professor and Head of Dance at Hampton University for two years. While at Hampton, she directed the Terpsichorean Dance Company and established the first African American chapter of the National Dance Association's Nu Delta Alpha Honor Society. Her choreography has been presented by William & Mary, Hampton University, the Maryland School of Ballet and Modern Dance and Colonial Williamsburg. Her most recent reconstruction was a Paul Taylor Dance Company work entitled, The Word. In addition to her original work and historical reconstructions, Glenn also co-choreographed Journey of Destiny, the retelling of the settlement of Jamestown, which was part of the Jamestown 400th Anniversary Celebration. Several of her most recent works have been presented at the annual International Association for Blacks in Dance Conferences. Her company, Leah Glenn Dance Theatre, presented its most recent concert on the Millennium Stage of the Kennedy Center for Performing Arts in May 2016. In addition to being an Associate Professor of Dance at William & Mary, she is also the Founder and Artistic Director of Leah Glenn Dance Theatre (LGDT). Chon Glover '99 M.Ed., '06 Ed.D. Chon Glover is the university's Chief Diversity Officer where her primary responsibilities include oversight of institutional diversity efforts. She came to William & Mary in February, 1996 from her undergraduate alma mater, Presbyterian College. She served as Coordinator of Volunteer Services and Director of Minority Affairs from 1990-1996. She has held several positions at William & Mary: Assistant Director of Multicultural Affairs (1996-1999); Director of Multicultural Affairs (1999-2007); Interim Assistant Vice President of Student Affairs (2007-2009); Assistant to the President for Diversity & Community Initiatives (2008-2012); Chief Diversity Officer (2012- present). Chon's personal interests include reading, technology, sports (avid Steelers fan) and enjoying time with family and friends. Earl is a proud alumnus of William & Mary. He has spent 14 years working at the university. He is currently the Associate Vice President for Development. In his prior role, Earl served as the Associate Provost for Enrollment. He sees his roles comparably to book ends - he has had the pleasure of working with prospective students at the front of the pipeline and now has the pleasure of working with those students as alumni and ambassadors for W&M. During his undergraduate years, Earl was a student leader having served as the president of the Black Student Organization. In his alumni role, he has served several terms as president of the Hulon Willis Association (HWA). Earl has served on many university-wide committees across the years – most recently on the Task Force on Race and Race Relations. Artisia Green is the Sharpe Associate Professor of Entrepreneurship and Civic Renewal at William & Mary and Director of the Program in Africana Studies. She received her BA in psychology from William & Mary in 2000 and her MFA from Virginia Commonwealth University in 2003. Artisia's research explores the means by which Africanisms — cosmology, ritual, art, imagery, orature, symbolism and mythologies — shape artistic expression, document indigenous oral traditions and highlight their primacy, and challenge western epistemologies of textual production and analysis. An award winning interdisciplinary educator (Arts & Sciences Faculty Award for Teaching Excellence and a William & Mary NAACP Image Award for Outstanding Faculty), Artisia's main pedagogical goal is to develop responsible, empathetic, intellectual leaders who value critical inquiry and diversity of thought. Among other positions she holds, Ms. Griffin-Allmond is the Office Manager, Center for Student Diversity. Shantá D. Hinton is an Associate Professor of Biology here at William & Mary. Her specialty is in cellular and molecular biology, biochemistry, protein tyrosine phosphorylation, pseudophosphatase roles in signal transduction, and protein interactions. Professor Hinton has a significant interest in protein interactions in cellular processes and conducts research and publishes frequently on this topic. Her most recent article, Antagonistic roles for STYX pseudophosphatases neurite outgrowths, was published in April 2017 and focuses on the function of pseudophosphatases in neuronal development. She is often invited to speak at international conferences such as Nassau, Bahamas in 2014 and Liverpool, United Kingdom in 2016 as the pioneer of her field. Her undergraduate and high-school researchers also present at meetings, where they win awards for their poster presentations. Professor Hinton has received awards such as the William & Mary NAACP Image Award for consistently being an inspiration to students (2011), the William Small Award in recognition of her exceptional teaching ability in the classroom and for dedication to research in the lab environment (2016). She was Edward Coco Fellow for Arts and Sciences (2016-2017 academic year). She recently received a certificate of Excellence in Biology recognizing her as the most promising scientist they produced from the Biology department during her alma mater's (Howard University) Sesquicentennial Celebration (March 6, 2017). She will be the featured scientist for the American Society for Biochemistry and Molecular Biology website for a month during the 2017-2018 academic year. Before Professor Hinton joined the William & Mary faculty in 2010, she received her B.A. in Biology from the University of North Carolina at Chapel Hill in 1996 and her Ph.D. from Howard University in 2002. Professor Hinton is the first Black faculty to be tenured Biology or in any of the sciences at William & Mary. Ms. Holdcraft is Senior Director, Alumni Engagement. Dr. Vernon Hurte was Director of the Center for Student Diversity from 2009-2017. Dawn Lambert is the Administrative Coordinator for the committee and has worked in the Provost's Office for several years. She also serves as the Administrative Coordinator for the 100th Anniversary of Women at William & Mary. Prior to joining William & Mary, she served in the U.S. Marine Corps for over 20 years. Elizabeth Miller is the Assistant Director in William & Mary's Office of Community Engagement. Her work mainly focuses on developing the active citizenship of students while partnering with and benefiting the greater Williamsburg area. Beyond her community engagement work, Elizabeth is also an instructor for the Women in Leadership course and serves on the steering committee for W&M Women's Mentoring. Elizabeth is an alumna of the university, graduating with a degree in women's studies. Shené is a student, educator, and mentor. She currently serves as the Assistant Director for the Center for Student Diversity at William & Mary; providing academic, social, and transition support for undergraduate and graduate students from underserved and/or underrepresented populations. In her role, Shené plans the programming for the center, advises the diversity-focused student organizations, while supporting the students who visit the center. Shené is originally from Teaneck, New Jersey. 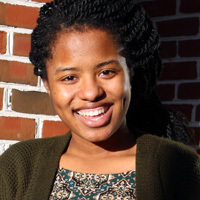 When she's not at William & Mary, Shené is extremely active in her communities both in Virginia and the Tri-State area (NY/NJ), serving as a mentor to teens and young adults, leading self-care and/or self-esteem workshops, participating in community service efforts, and raising awareness to various causes. She lives by the West African term "Sankofa," which teaches us that we should reach back and gather the best of what our past has to teach us, so that we can achieve our full potential as we move forward. Shené is a proud member of Delta Sigma Theta, Sorority, Inc. and holds both a B.A. in English Arts and M.A. in Counseling (College Student Development) from Hampton University. She is now working towards an Ed.D. in Organizational Leadership: Higher Ed Leadership at Grand Canyon University. Professor of English and Africana Studies at William & Mary, Hermine Pinson has published three poetry collections, most recently Dolores is Blue/ Dolorez is Blues, and two CDs, Changing the Changes in Poetry & Song, in special collaboration with Pulitzer-prize winning poet Yusef Komunyakaa and Deliver Yourself with the Harris Simon Trio. She has performed in the United States, Europe and Africa. Pinson's poetry and fiction have appeared in numerous anthologies and journals, including Poedia Mundo; Commonwealth: Contemporary Poets of Virginia; Callaloo; Verse, The Ringing Ear: Black Poets Lean South, African American Review; Common Bonds: Stories by and About Modern Texas Women; and Richmond Noir. Her most recent short fiction appears in Black Renaissance Noire and ragazine.cc. She has been awarded fellowships at Cave Canem, Macdowell Colony, Yaddo, Soul Mountain, Byrdcliffe Colony, Vermont Studio Center and The Virginia Foundation for the Humanities. As the Assistant Athletics Director for Academic Support, Jason Simms acts as an academic advisor to the university's varsity athletes and is currently in his ninth year at William & Mary. Simms assists student-athletes in maintaining excellence in the classroom, scheduling classes, monitoring progress towards degrees and assisting in future planning. In addition to his role at W&M, Simms is currently serving his third year as the chair of the NCAA Division I National Field Hockey Committee. 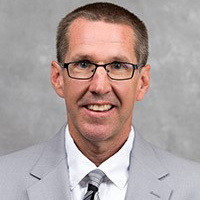 Additionally, he is an active member of the National Association of Athletic Academic Advisors (N4A) and has been involved with the National Academic Advising Association (NACADA). Kim Sims is the University Archivist for William & Mary, a role she has served in since 2014. She graduated with a B.A. in history from the University of North Carolina at Wilmington in 1999 and an M.A. in Public History from North Carolina State University in 2001. Prior to coming to William & Mary, she worked as the Technical Services Archivist for University Archives at the Rubenstein Rare Book & Manuscript Library at Duke University. Randy Tripp is the Associate Dean of Admission and Director of Multicultural Recruitment. A native of Norfolk, Virginia, Randy has been working in higher education for 11 years. The majority of that time has been at William & Mary working in both the Office of Undergraduate Admission as well as MBA Admissions at the Raymond A. Mason School of Business. He also spent some time at the University of Maryland, College Park where he worked with pipeline programs for middle school and high school students. Randy received his BS as well as his M.Ed. from William & Mary. Aliyah Wooten is a senior at William & Mary majoring in finance with a concentration in business analytics. She is Vice President and a proud member of Delta Sigma Theta Sorority, Incorporated and the African Cultural Society. As an African American student on campus, Aliyah became interested in the legacy of African American students at W&M and preserving those traditions. This motivated her to become the Program Director of the Africana House, a language learning dormitory on campus as well as join the 50th committee. In addition, she spends her time dancing for the African Cultural Society's Afrodite dance team as well as mentoring and coordinating community service events in the area.